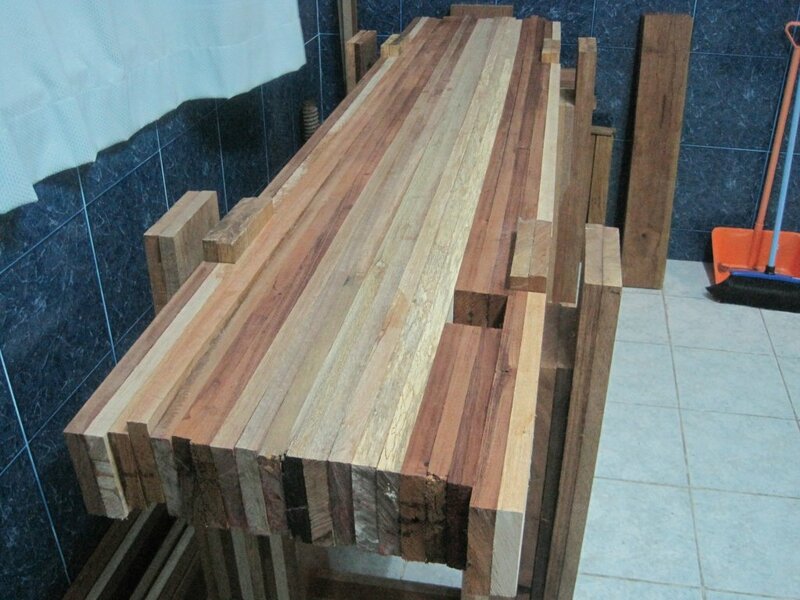 You are currently browsing the category archive for the ‘Workin’ the Wood’ category. 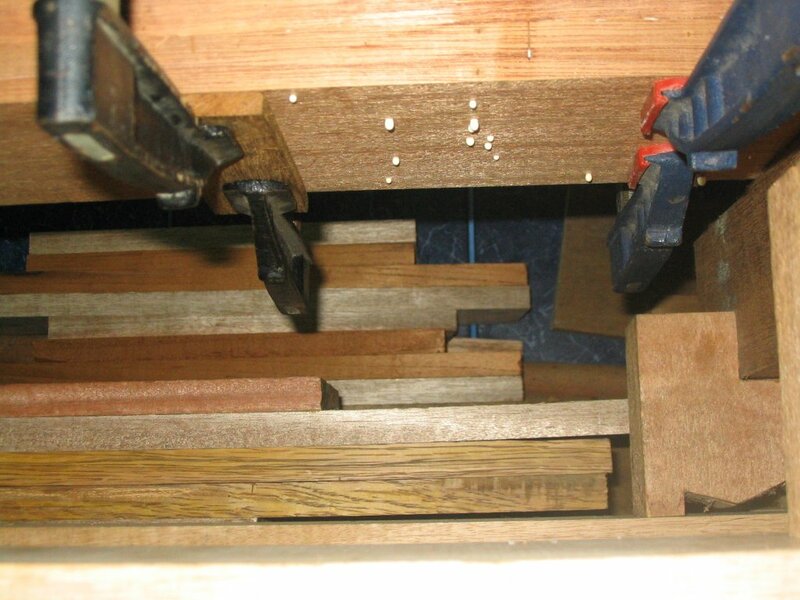 It seems to only happen on my last board of each leg, and when I have the glued-up board on the bottom of the stack (with gravity and the other 7 boards helping my clamps out). On a related note, I have also seen glue squeeze out from the middle of the edge of a board above the glued-up board. Not in a glue line. From the middle of the board. Maybe all this is normal and I’m just a newbie to gluing. A gluebie. 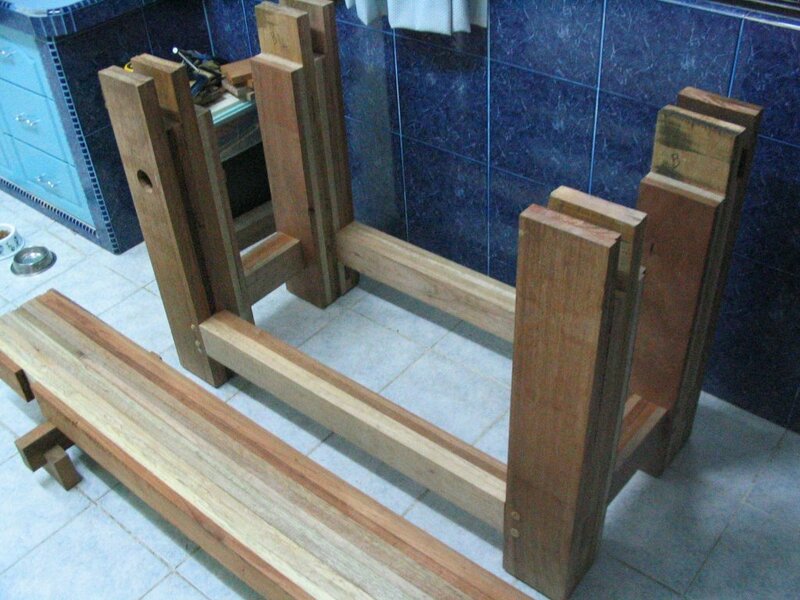 So in my last post, I mentioned the difficulty I was having boring the overlapping holes for the mortises that will receive the short stretchers of my bench. I was tired, but wasn’t gonna let it breaka my stride. This past Thursday was a federal holiday, and my wife graciously gave me the space and time to get in a lot of shop time. 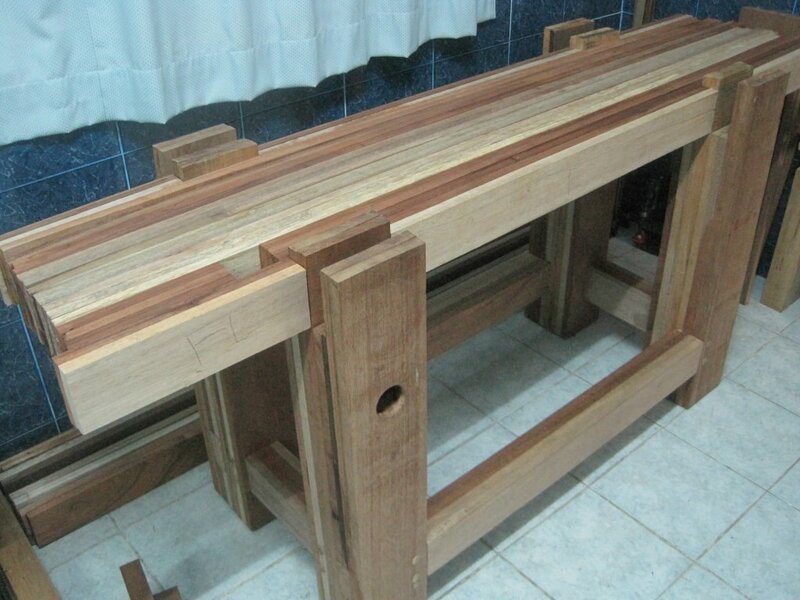 So I started with the flip side of the first mortise (from the last post) and was able to complete that and the mortises in two other legs. 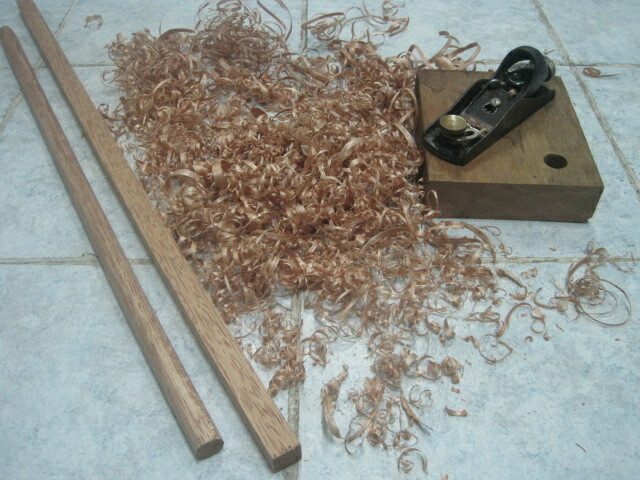 But when I was halfway through the last mortise, my expansive bit snapped under the immense power of my massive arms. Well, either that, or it got tired of being overextended beyond its intended range. Anyway, the screw head just snapped right off the shaft. Cool. Or not cool. Because now what? I tested some of my other bits and they were entirely unsatisfactory in their cutting ability. Not only did I have this one last short stretcher mortise to finish, but I still had to do my big honkin’ mortise for the nut to my wooden screw (the nut is 6″ x 3 1/2″, and 3″ or so thick). So I did what I thought I’d never do – I reached for a power tool: specifically, our office’s electric drill. Even as I was taking this thing home, I felt kinda dirty. 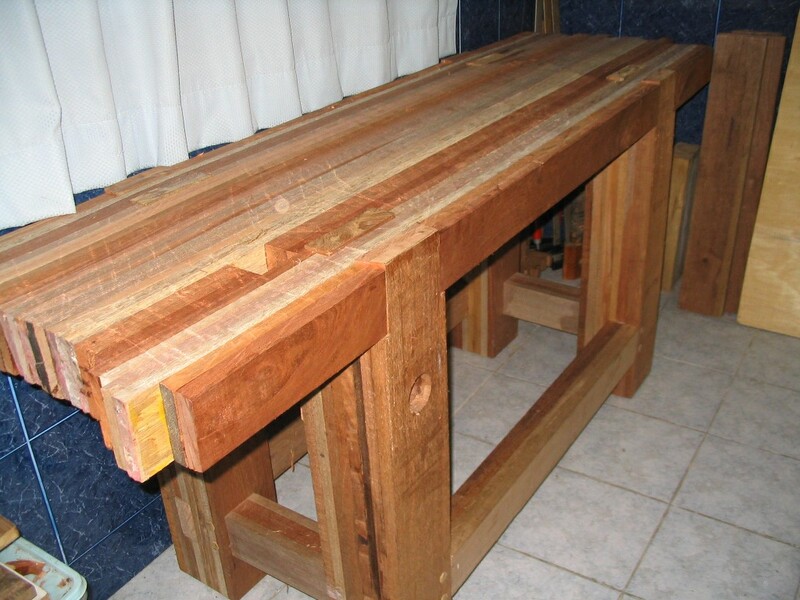 Here I am, building a workbench in the style of the 18th-century, and I can’t even do it without plugging something in. But you know, once I plugged it in and gave it a spin (or a twist, I suppose), it wasn’t so bad. The speed of boring was quite nice. 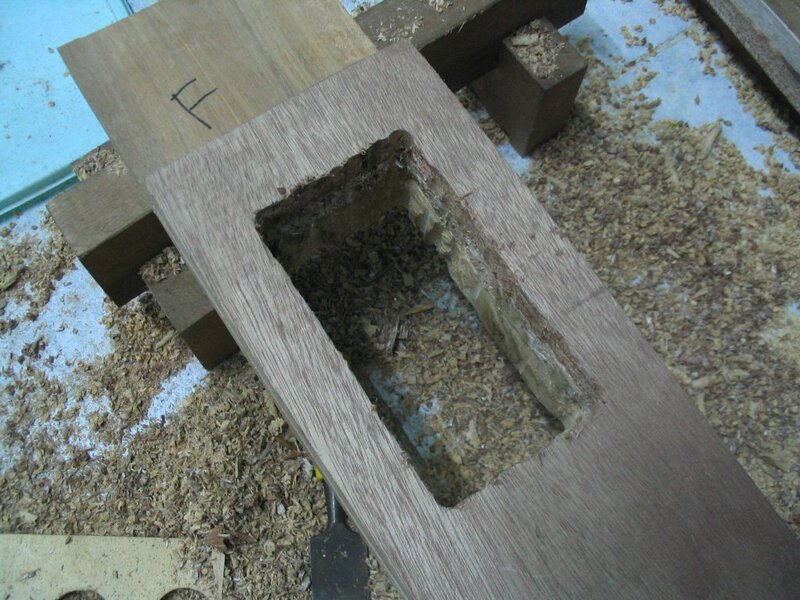 So anyway, in no time I finished that last leg and was ready to move on to the big mortise for the honkin’ nut. Got some pics. First off I marked the four corners. 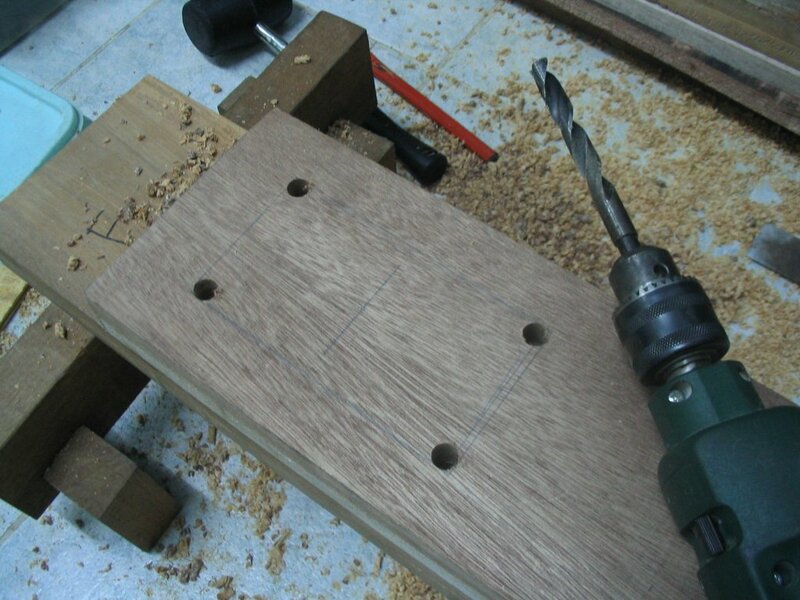 Then it was a simple matter of drilling holes with one hole space in between them. Then I followed up with drilling out those spaces until I had a perimeter of nearly-overlapping holes. 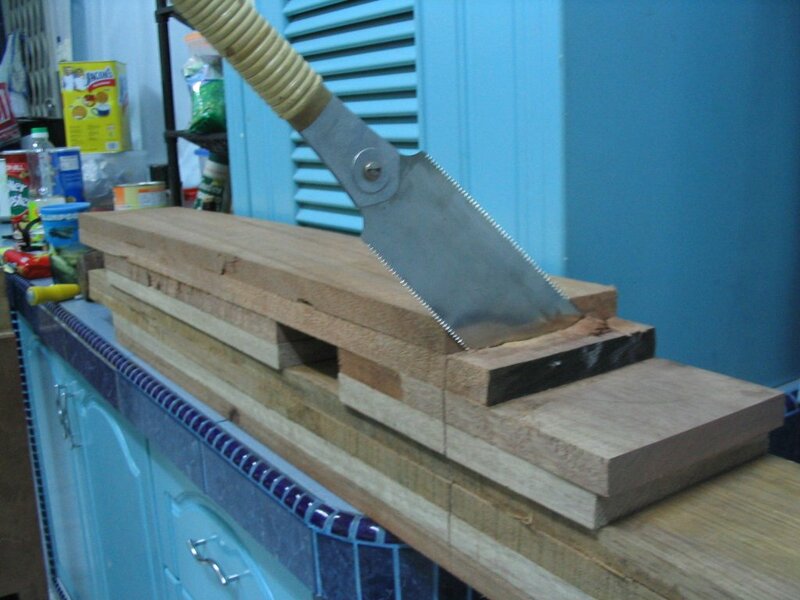 Then the fun: drilling in at angles along the perimeter to hog out the thin walls of wood in between the holes. 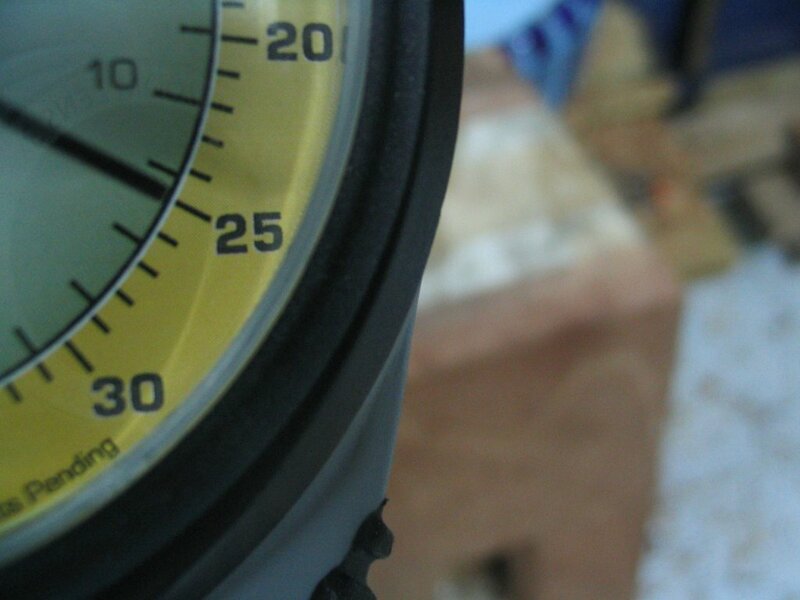 In no time the block in the middle dropped onto the floor, without a chisel being struck. Of course, then the chisel came out to clean up the walls. I was surprised at how easy this was, considering how much I’d been dreading this mortise. While my holes were not drill-press vertical, they were pretty darn close. And with this mortise it really doesn’t matter what it looks like, nor does it have to be perfect in respect to the nut that goes into it. Standards may be very low and it will still function exactly as it should. 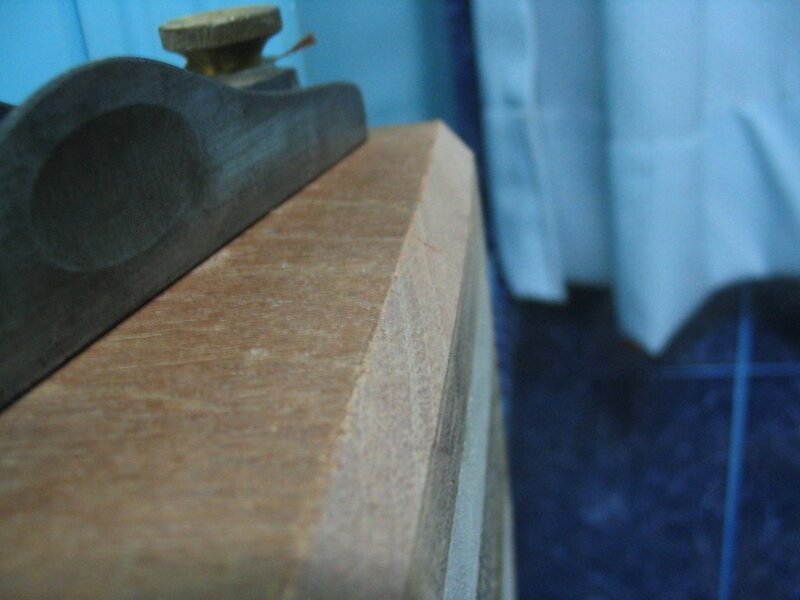 Still, I was very very pleased that the nut went into the mortise with the gentlest of mallet taps. In the picture below, you’re looking at the inside of the leg, where the screw will come out. 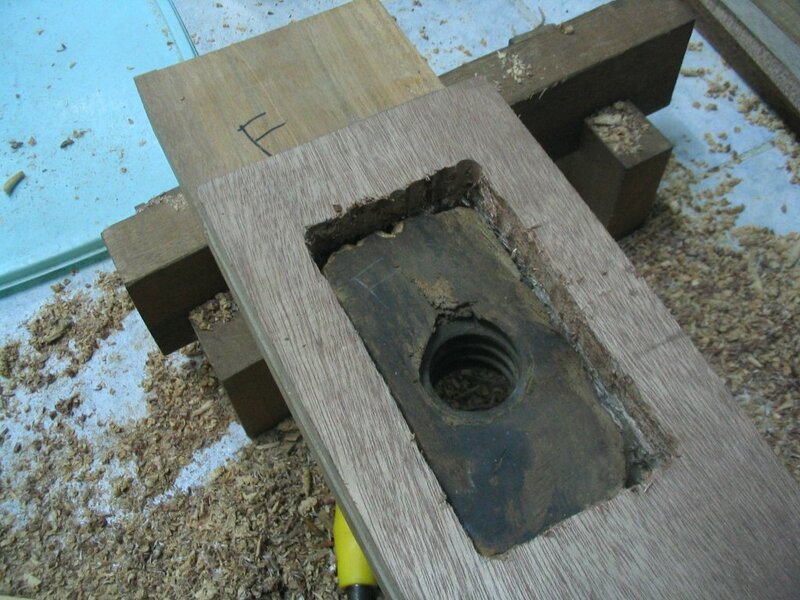 To fill in the space behind the nut, I’ll insert a couple little blocks and hold them against the nut with a thin strip of wood screwed onto the leg. Not a drop of glue needed. And in case you weren’t sure, the back side of this “through mortise” will be closed up with the remaining boards that need to be glued on to complete the leg (and then a hole drilled through to receive the screw).